Maybe it's just me, but a 30 minute session at a location of your choice with 10 edited images for $75 doesn't seem like a long term sustainable business model. Like many of my posts, this one was sparked by the offer that I just mentioned being listed on Facebook. 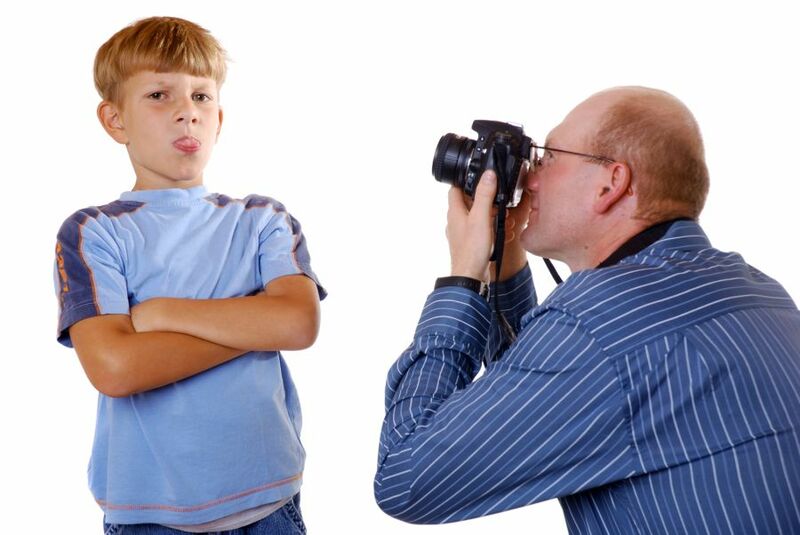 It's true that there are many families that cannot afford more than $75 for photography. But I think a photographer is better off helping truly in need families by providing their services for free to build their portfolio and giving back to those truly in need rather than offer a $75 package for 30 minutes with 10 edited images and further dilute the photography industry with pricing far below market value of veteran photographers. 1) $75 for 30 minutes - This photographer is NOT averaging $150 an hour or truly making $75 in 30 minutes. 2) There is driving time, shooting time, consultation time (what, where, when, how, why, etc. questions) and editing time. FYI, our editing time for people photography on a similar shoot in the commercial world that we shoot in is about 20 minutes per image ON THE LOW END. That means to our minimum level of quality that 10 edited images would be an additional 3+ hours of work. 3) It's not a sustainable business model because by the time insurance, future gear needs, gas, taxes, etc. are all taken out of the gross amount, there is little left to actually try to make a living on. $75 for 30 minutes is not a true $75 profit! 1) Email, Phone Call or Social Media to discuss what's needed. On the low end 15 minutes, here's what's needed, here's where we are shooting. 2) Driving to and from the location - If lucky 30 minutes round trip, but there is still pack up time for gear, etc., so I'll call this one an hour average. 4) 10 edited images - I know two photographers personally that only spends about 10 minutes per image. Therefore at 10 minutes per image, that's another 100 minutes of time plus there is time to upload the images to the customer, burn to a CD, etc. I'll call this one 2 hours. 5) Just to make a round number of 4 hours total for 1 through 5, I'm adding 15 minutes for admin work or margin of error. If $75 is 4 hours of total work, that's $18.75 per hour which is a decent rate, but does the photographer want to be full time or part time because it would be hard to maintain a full time income for years on end at $75 per 30 minute session. Also, $18.75 an hour is gross income, so once taxes are paid and bills are paid to support regular expenses, I'd like to know where the extra money is to expand the business? Based on an average of 4 hours per session, that's 10 sessions a week to gross $750 per week which after taxes can still pay some bills. However, is this a sustainable week-in-week-out ... year-in-year-out business model? I think the answer is no. If the photographer realizes this, the photographer should just start at a higher rate, make more money per session and do what is sustainable long term. There is NOTHING wrong with making a profit and having a sustainable business. It's not gouging people. It's called making a living. FYI, even at $75, there is ALWAYS going to be someone cheaper. If you are a photographer, don't try to be the discount store, low price leader. You should create a sustainable business model from day one. Although the consumer world is not my target market, I still have people in the business world from time to time that think my pricing is high. For example, someone the other day was shopping for a $50 LinkedIn headshot. I don't do $50 headshots and the lowest priced photographer for headshots that I know of and would actually recommend is $100. I mentioned that to the person on the phone and wished them the best. I'm not lowering my pricing to $50 to cater to someone that has a $50 budget. I have learned through experience that the vast majority of people that call me have no problem with my pricing and I know that my pricing is competitive for my target market. Therefore, I cannot afford to spend much time on the $50 LinkedIn headshot inquiry. However, I can still be polite, thank them for their time and wish them the best. My philosophy is to set pricing that is competitive with the market place, that is profitable enough to keep me in business and not try to be the right fit for everyone because even $75 for 10 edited images will still not work for everyone. FYI, some will think it's too expensive and YES, some will think it's too cheap.